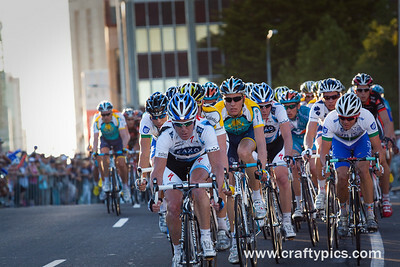 If you live in Adelaide one thing that I think everyone knows is that Lance Armstrong ( 7 times Tour De France winner ) in in Adelaide and out of retirement to race in this years Tour Down under. The Race itself runs for 6 days from Tuesday 20th Jan up till Sunday 25th January. on Sunday 18th January a preliminary event was held with all the Riders competing which was a street circuit around Adelaides Rymil Park . The weather was fine/hot and the Crowds were Huge ( estimated by the media at 130,000 ). 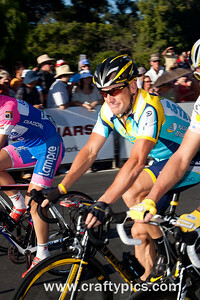 Lance Armstrong ended up in the middle of the pack finishing around 60th, with Australian Robbie McEwen winning the event ( Cancer Council Classic ). The event was also aimed at promoting Cancer Awareness which is one of Lance Armstrongs passions given his own fight with Cancer.